Your bedroom should be a veritable temple of rest and relaxation. It should be a sanctuary within a sanctuary; a place where you can go to relax and unwind and let ourselves be lulled into a deep and restful sleep. However, it’s also a place where we may want to bring a very special guest. If you’re a devoted singleton who wants to wow their new beau with their classy boudoir or simply want to inject a little more style and charm into your sleeping space, here are some great way to bring class, style and sophistication into the bedroom. We’ve already talked about the virtues of adding a touch of nature to your home’s aesthetic. Wherever possible you should avoid synthetic fibres and plastics in the bedroom. Avoid bedding that contains synthetic materials like nylon, terylene and polyester as these can make it harder for the skin to breathe and for you to get a good night’s sleep. What’s more, they can look visibly cheaper and detract from the air of class and sophistication you’re trying to project. Opt instead for bed linens that are 100% cotton or made from another naturally derived fabric (I’ve actually heard a lot of wonderful things about bamboo based bed linen). Not only do these make for a more restful night’s sleep, they also make your space look cleaner, tidier and classier. For a little flourish of colour add one of these hotel quality bed runners from Richard Haworth. What better way to sleep classy? A canopy bed makes a great statement and draws the eye while elevating everything around it. The great thing about canopy beds is that whatever your personal style may be there’s a good chance that there’s a canopy bed out there for you. Whether you’re going for a sense of classical opulence or something more contemporary and minimalist, a canopy bed is a wonderful feature that adds a wow factor to your boudoir. Needless to say, however, you have to know your space before introducing a canopy bed. 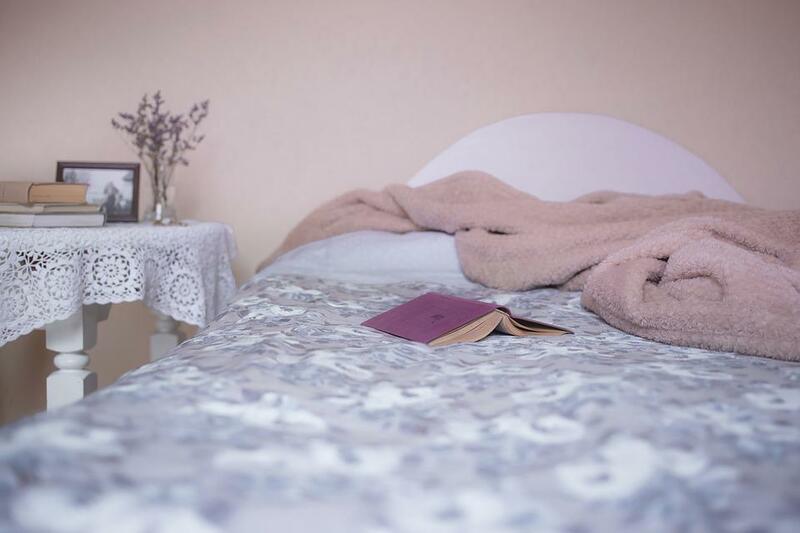 If it looks like you’ve barely managed to squeeze it into your room it will cheapen the aesthetic and moreover make your bedroom look cramped. Wall art can make for a great statement piece that lends not just class and sophistication but a sense of personality and character to the bedroom. However, it’s important to choose a piece that is personal to you. Avoid the kinds of mass-manufactured prints you see in Ikea and its ilk. It adds little to know personality to your room when you add an over-familiar print of a New York City skyline or a quiet dock to your wall. Be bold, be provocative, be whoever you want to be through your wall art. You don’t even have to spend a fortune. University campuses and of course good old Etsy are great sources of high quality art that won’t break the bank. There’s no class in clutter! Not only can clutter detract from the creative flourishes and classy fixtures of your bedroom, it is also visually distracting and can add a sense of chaos to even the most carefully honed aesthetic. Moreover, it can be surprisingly damaging to your mental health and prevent you from getting the restful night’s sleep that we all need to maintain our physical and psychological well being. Of course, class is not a concept that’s confined to the strictly visual. It’s also something we experience through the nose. Why else do we spend a small fortune on designer perfumed before stepping out for a big night out. The great thing about scent is that it can be used to create virtually any kind of atmosphere without clashing with your decor. Your choice in scents can be fresh and clean, warm and cosy, spicy and sensuous, it all depends on your mood. However, I’d avoid harsh perfumes, sprays or plug-in deodorisers. These are the home equivalent of lynx body spray. Instead use diffusers filled with essential oils. Use mint or citrus oils for a fresh scent (these can also aid concentration if your bedroom doubles as an office), sandalwood and ylang ylang can add a comforting ambience while jasmine, cinnamon and marjoram can add a more exotic and sensual atmosphere. Finally, if your nightstand is cluttered with all manner of cosmetics, makeup, hair products and your other daily armaments to help you in your battle through life, you may find that not only is it tricky to relax in your bedroom, the space’s classy aesthetic is also compromised. Try to keep the items you keep on display to a bare minimum and keep the rest in a storage ottoman. Is there anything more enjoyable than setting forth on an adventure, somewhere abroad, somewhere you’ve never been before? If we all had our way, we’d do a lot more than we currently do! And it’s not hard to see why -- life is rarely as enjoyable as when you’re with your loved ones, living a carefree existence. But of course, if you’re going to do that, you need to be carefree, and that can’t happen if you’re worrying about what’s going on back home, and specifically, what’s going on at your house. Below, we take a look at a few ways you can keep your property safe, which will give you one less thing to worry about when you’re travelling. If you don’t post photos of your exotic getaway to Instagram or Facebook, did it even happen? It seems many a person decides to take a trip purely so they can show it off to other people! But if you’re going to share photos -- and why not? -- then it’s best to wait until you’re back home. While you might be hoping to make people back in the office jealous than you’re in the sunshine, you’ll also be advertising the fact that your home is sitting empty to the world. Criminals do take advantage of this fact! Of course, there are no guarantees that just because you haven’t hung a sign over your house saying “we’re away,” that your home will be left alone. You can never be sure when a criminal will attack your home, regardless of whether you’re in the country or not. While you can’t control that aspect, you can control how easy it is for them to succeed. An advanced home security will be an integral part of your defence against would-be criminals. If you’re looking at upgrading your system, take a look at https://budgetboost.co/best-home-security-systems/. They outline a few systems that come with a mobile app that’ll send you notifications when something untoward happens, allowing you to take action no matter how far away from home you are. It’s not just criminals who can compromise your home when you’re away. This is a home, where any number of issues can happen! A good way to keep your home in tip-top condition is to have someone stay there while you’re away. There are plenty of housesitter websites that can connect you with reliable people. If you’re going on a more extended trip (say, a couple of months or more), you can also look at renting out your property. It’s an excellent way to keep it safe while also getting some rent money and topping up the travel fund. If all that sounds too complicated, or you’re only away for a week or so, have a friend or family member drop in every couple of days. They’ll be able to check that everything’s just as it should be, and also pick up the mail -- a pile-up of letters can be a sign that a family is away. Who doesn’t love to take a trip into the great outdoors? There’s nothing better than being surrounded by trees, beautiful views, fresh air, and, essentially, life. Yet while most of us enjoy being in the great outdoors, we don’t always get as much of it as we’d like -- instead, we spend the bulk of our time away not only from nature, but the outdoors. From our works to our cars to our homes, we’re nearly always inside. However, just because we like or need to be inside, that doesn’t mean that we can’t get a dose of nature, especially in our homes. Below, we take a look at a few ways you can bring some of the outdoors into your property. The reason we feel so disconnected from the natural world is because we’re always facing inward. In our home, we’re penned in four walls, and sit facing away from the windows, which, in any case, are often small. During certain months of the year, or if we live in a built-up area, the only light we receive is artificial. But it doesn’t it have to be this way. One of the best ways to make your home feel more natural is to open the space up, and let in as much light as possible. Another useful way to add a touch of nature to your home is to make less of a distinction between where home ends and nature begins. Incorporate French doors into your property, and you’ll have created a funnel that draws you into your back garden. It might seem like a small thing, but you’ll find that you’re more likely to spend time in your yard area if there’s only a pane of glass keeping it at bay. Who says that natural features only belong in the great outdoors? You can bring them into your home, in various ways. For example, you can get a fire that burns real wood from https://ultimatefires.com.au; it’ll invoke those lovely evenings spent around the campfire when you take a trip into the great outdoors. Elsewhere, you can make the most of natural textures such as wood and stone. A distressed wood table, for instance, will give off that outdoor country vibe, while a stone kitchen countertop will give your home that elemental feel. One of the best, most effective, most sweet smelling ways to bring nature into your home is to add things that grow freely in nature, such as flowers, plants, and vegetables, which you can keep on display in your kitchen. The flowers and plants are particularly recommended -- studies have shown that they’re able to boost our mood. Finally, take a look at incorporating nature into the decorations that you have around your home. Pinecones, jars of pebbles and sand, and other items you can find on your country walks will all work well, as will adding works of art that have a nature theme. We headed into Birmingham today for lunch at Bodega, see my full review here... Afterwards we went to Cannon Hill Park and took Amelia to the Wildlife Center and then visited my nan's grave before heading over to see my Grandad so busy day! I thought i'd wear my new leopard print skirt from Boohoo! I've been loving my polka dot midi skirt from Primark and really wanted to get another one that was similar. I spotted this one on Boohoo and thought it would be perfect as it's petite and i'm quite short and sometimes find midi length things a little too long. It was an absolute bargain too, only £13.50 so I just had to get it! It was a little nippy so I popped my leather jacket on and kept it simple with a little Black top and my Black boots. I think the skirt would look so good with a cute slogan tee or even with a jumper tucked in. Clint and I are both off for the rest of the week so I'm hoping to have another outfit post up later in the week! Today we headed into Birmingham for lunch at Bodega Cantina to check out their menu refresh! Bodega is South American inspired cuisine. Bodega have a great menu with loads of choice, they offer a street menu, small plates and large plates so there is something for everyone no matter how hungry you are! The menu is really clear and they are great when it comes to allergies, they actually ask you when they seat you if you have any allergies which is amazing! I ordered the Dr. Pepper marinated pork Quesadillas, they were soo tasty! We also ordered a side of Nachos- They are the best Nachos i've ever had! They come with loads of salsa, guacamole and sour cream and are topped with Jalapenos. Clint went for the Chipotle beef brisket chilli burrito, it looked really good, it was filled to the brim. He had it hot! and said it was delicious! You can actually order from the street menu like us or the small plate section during the week and get your main and a drink for just £7! It's such a great deal if you out in Birmingham during the weekdays. The new menu is amazing and full of loads of really tasty sounding food, I think we will be heading back really soon to try a few more dishes. I love the sound of Bodega’s Burger a la Parilla and Peruvian Seco de Pollo, so need to check them out. I think their prices are really reasonable and the food is sooo tasty and great quality. If your looking for somewhere new in Birmingham to eat and you haven't tried Bodega before i'd really recommend checking it out. They also have a great kids menu with loads of choice and it includes a side, drink and desert for £5.95 and sometimes they do offers during the kids holidays so check that out too! Bodega also have a really impressive drinks menu full of beers, cocktails and spirits. I had the Hummingbird mocktail, it's amazing! I'd love to go along on an evening and give some of their alcoholic cocktails a try too! The atmosphere was lovely and all of the staff were really friendly. We had such a lovely time and would really recommend it to everyone, people with or without kids. It's the perfect place for lunch with the family, a few drinks after work or even dinner and drinks on date night!